We check over 450 stores daily and we last saw this product for $65 at Neiman Marcus. 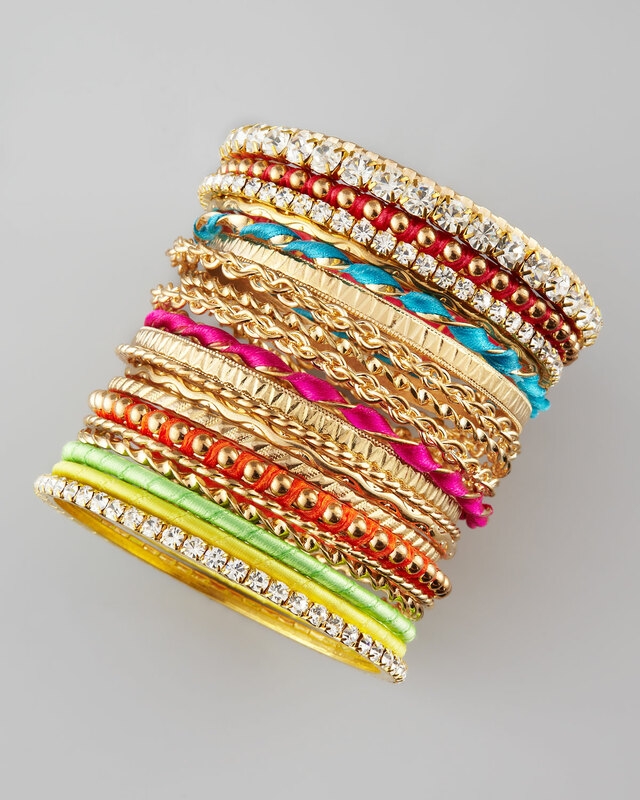 Stunning when stacked, simple when worn singly, each of these Cara Accessories bangles provide party-perfect glitz. 21-piece set. 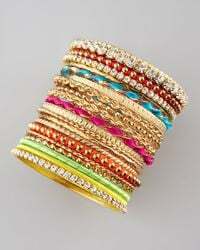 Golden-plated bangles. Faceted iridescent crystals. Ribbon details. 9" circumference. 4"W when stacked.